The Yamaha NS-777 speaker system has been designed specifically for home theater applications. The floorstanding speaker is a bass reflex design that can be used for main channels and incorporates a pair of 8" polymer-injected mica diaphragm (PMD) cone woofers, a 5" midrange cone driver and a 1” aluminum dome tweeter. For improved imaging, the midrange and tweeter utilize exclusive Yamaha waveguide horns. Matching speaker stands provide solid footing for full floor contact, enhanced stability and minimal vibration resonance. The stands also provide an attractive counterpoint to the cabinet. To further maintain signal purity, Yamaha provides bi-wiring capability for the Yamaha NS-777 speakers. There are separate +/- terminals for the woofer(s) and the other driver(s). The separation reduces modulation distortion and better sound quality. 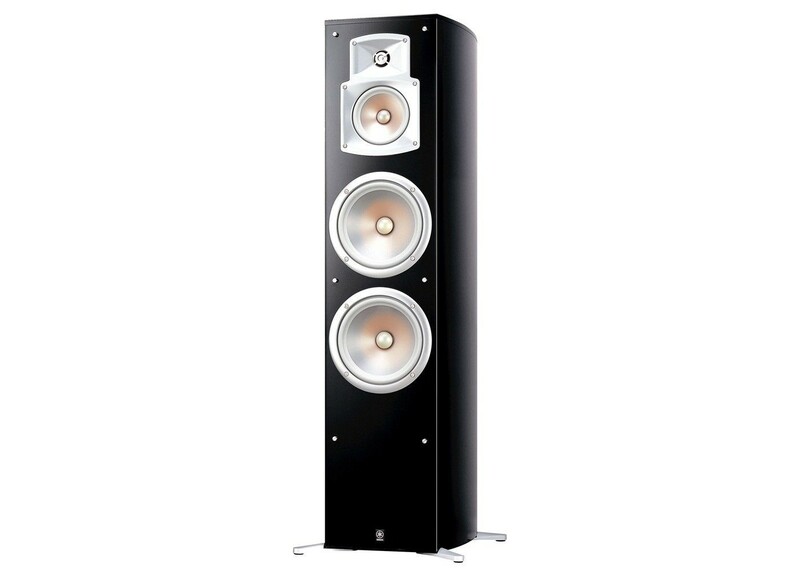 The EF series speakers are enclosed in an elliptical form cabinet with a high gloss black piano finish which provides solid construction with minimal sound diffraction. New grille design and grille cloth provide an attractive and acoustically transparent protective cover for the drivers.